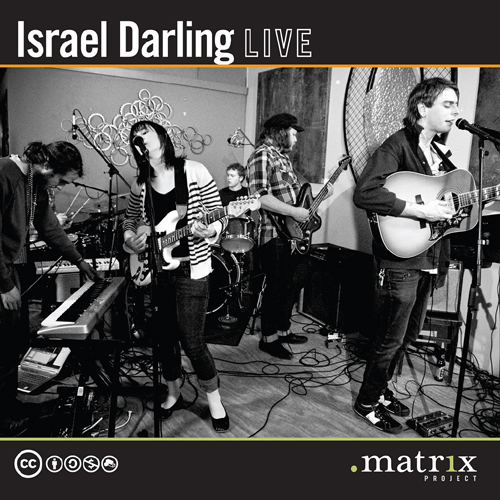 This past March, Israel Darling performed at The Green Bean in Greensboro, North Carolina for a dotmatrix project show. The room was packed, band was slammin’, and the dotmatrix folks got it all on tape. It’s our pleasure to be able to present this for FREE which you can download here. The live session includes staples from the debut album such as Samson The Mason, Billy Walker and Woman, God, And Pity For A Man with newbies To New York City; To Miss Marie and Whistling Dixie. Enjoy! This entry was posted on Wednesday, November 24th, 2010 at 2:29 pm	and is filed under News. You can follow any responses to this entry through the RSS 2.0 feed. You can leave a response, or trackback from your own site.